So what is authority content? 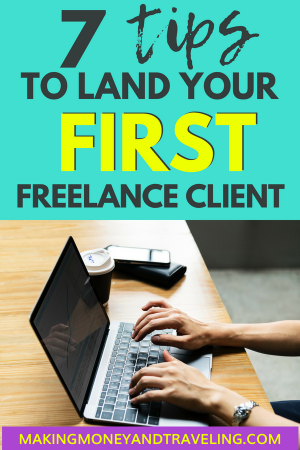 Do you want to start freelancing but don’t know how to get your first freelance clients? After all, the online world is noisy and sometimes it seems totally oversaturated with freelancers… right? While it may seem that way from the outside, the reality is that there are so many freelancers because there is such a HUGE market for them. The amount of freelancers is directly related to the NEED for freelancers, and that number is growing every day! In fact, the majority of the US workforce is expected to be made up of freelancers by 2027 – based on this study done by Upwork and Freelancers Union done in 2017. The difference between thriving or just getting by, especially as a new freelancer, all comes down to POSITIONING. Simply put, positioning means the way that you are presenting yourself in the digital world as a skillful and knowledgeable freelancer in your chosen industry. 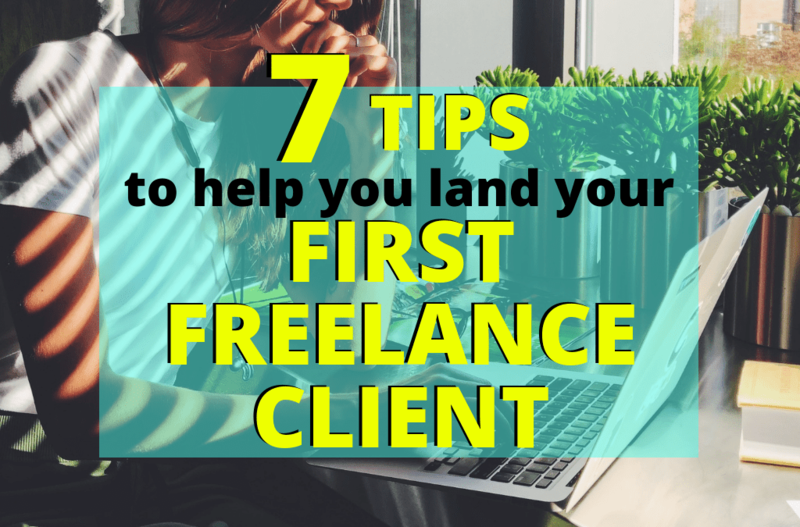 Proper positioning can make the difference between feast or famine, and in this post, you will learn 7 Must-Do Tips to Position Yourself so you can Land Your First Freelance Clients. 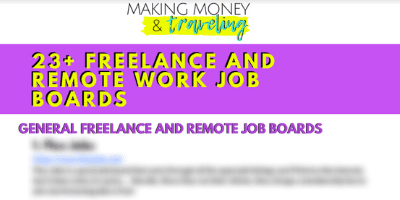 Oftentimes new Freelancers (myself included) have the idea that they need to apply to every single job that even remotely applies to their particular skillsets – gotta make that money! However, taking every single job that you can get just so you can make money means that you’re most likely underselling yourself. This will quickly lead to frustration, burnout and total overwhelm. Before you get started freelancing it’s a good idea to set some time aside to brainstorm your ideal client. It’s totally fine to base this off of a person or a business that already exists who would fit your “dream client” description. Doing this brainstorming exercise will help you better understand exactly who it is that you want to work with in the future and can help save you some heartache when deciding whether or not to apply for or take a job. In your ideal or dream client brainstorm, the more in-depth you go about this person or business, the better. The more crystal-clear your ideal client is in your mind, the better prepared you will be to go out and find them. What problem or problems do your products and/or services solve? Who currently benefits the most from your product or service? Be detailed! What traits does this person possess? i.e. good communication skills, punctual, easy-going and friendly etc. What does their budget look like? I.e. how much they will be more than happy to pay you, and when! Is it every week, every month, every year? This step may seem redundant or even unnecessary, but it will help you identify right away whether or not someone is your ideal client. Also, your ideal client will change over time! This will happen as you gain more experience and really learn what you like and don’t like, so it’s totally okay to change this as you grow in your freelancing journey. As a freelancer, you offer a product, service or skill that you are an expert in to people who need your specialized help. They have a problem, you have a solution. In order to properly convey to them and convince them that your product or service is indeed the best choice for their particular problem or need, you have to be able to speak their language. Doing this is as simple as having a clear idea of who your ideal client is. You know who they are and what problems they’re having, so you probably know the most common complaints that they have or what goals they are hoping to attain. Whether on a website, a job board profile or in a job application or proposal, word your product or service in a way that directly mirrors the complaints they might be having or what goals and benefits they want to gain. If on your website – list the common complaints you might hear your ideal client say and how your product or service directly solves the problem and gives them their desired outcome. If in an application or proposal, directly mirror what the client stated they are looking for in their original posting… only if your product or service matches the issue, of course! Never, ever underestimate the power of your network! Your network can be people you know in real life, your friends on social media such as Facebook, LinkedIn and Instagram and any other communities you might be a part of. I know, I know. Nobody wants to spam their friends with product or service offers, I get it. Nobody wants to be that guy! But think of it this way – this is your new business. You KNOW your product or service can make a difference in the lives of the people who need it, and you have to get it out there! Are you not passionate about what you’re doing? If you don’t tell them, they’ll never know. You never know what opportunities could come from your friends! They know people, who also know people, and it’s a whole wide world out there. A recommendation that comes from a friend is likely to already be warmed up to you because of where they got their referral. When I first started freelancing, 100% of my jobs came from friends or their recommendations. In fact, my longest running client (who I still have to this day) is one of my very good friends, and I never imagined I would be working with them! If I hadn’t put myself out there, that connection would never have happened. When you start freelancing and once a month or so, make a post on your social profiles letting friends and acquaintances know what services you offer and how appreciative you’d be if they could keep you in mind if they hear of anything. One of my favorite ways to get clients is to have them running to me asking me to work for them. In a perfect world, people would be running to us begging us to help them! Creating authority content is a way to showcase your knowledge and expertise and make yourself look like a total badass. This content sits there for the world to see and when your ideal client stumbles upon it, they will know you are the right person for the job! Authority content, or Authority Marketing, comes in many forms. It can be a simple short post on Social Media profiles like Facebook, Twitter or LinkedIn – even in your Instagram captions. It could be a video tutorial, review, talking about how you solved someone else’s problem or even educational. Last but not least (and my personal favorite), it could be a blog post tutorial, review, education or otherwise. Authority Content shows that you really know your stuff and positions you as the expert in your industry, the more you have, the better. One way to become seen as an authority is to start joining groups where your ideal client hangs out and giving free, helpful advice on posts. Facebook is really great for this, but so is LinkedIn. Another thing you can do from joining these groups is to start growing your network – start adding some of the people you’re interacting with as friends. As you do this, share tidbits of helpful advice on your status. This shows people you are personally interested in your industry, and shows how much you know. Blogging is probably the best way to become seen as an authority in your industry. Keeping it updated with industry-relevant posts and sharing them to social media sites like Facebook and Pinterest is a way to not only show that you’re an expert, but it will actually attract new potential clients. When you have a question about something, what’s the first thing you do? For me, I Google it. Blogs have changed my life, whether it’s been teaching me about how to cook a recipe, how to troubleshoot small engine problems or how to build a website, I learned it all from blogs. As a freelancer or entrepreneur, a blog is a great way to have your own personal “home on the web”. Everything you write on a blog stays there forever – unlike posting to Facebook when it’s pretty much gone by the next week (unless you want to scroll forever). When you have a blog full of helpful posts and advice relevant to your industry – you can link to it over and over again. When you see someone has a question in a group that you’ve already answered in a post, you can give them the link. Chances are, other people will be interested in your link too. 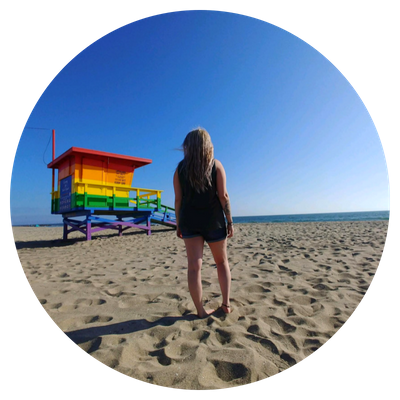 A blog is a great place to not only post authority content but hold your portfolio, About Me page, Client Testimonials, Product Purchase Pages and more. There are hundreds of ways to get traffic to your blog and it will serve you throughout your entire Freelancing journey, you can even monetize it with ads, affiliate marketing, or create and sell your own e-books and courses. If you want to start a blog, check out this beginners guide. Not my favorite way of getting new clients, but it works. Especially when you are just starting out and you don’t have any testimonials or case studies. You can offer 1-Week Free Trials to potential clients as a way to entice them to sign up with you after the week, or you can offer free trials for friends who could benefit for your help in exchange for a review or testimonial of your service. Personally, I’d prefer to offer friends the trial in exchange for a review or a testimonial because I don’t want to try to sell a new client once I already went through the trouble of reaching out to them in the first place! It’s so much easier to get paying clients when you already have reviews and testimonials, so this is a really great place to start. When reaching out to potential clients or applying for a gig, make it personal. Spend some time doing research on the particular person or company and include that in your proposal. As well as personal, make it as personable as possible. For example, if you have things in common or a way you can relate to the person or company, mention it. They will likely see tens or hundreds of applications or proposals, make yourself stand out by showing you’ve done your research and being YOU. Don’t shy away from relating to them with personal facts or humor. There are a ton of job boards out there, and you’re doing yourself a disservice if you limit yourself to looking for clients on just 1! Check out this post for a list of the Top 15 Websites to Find Freelancing Jobs, and remember your network too! By now, you should have a clear picture of who your ideal client is, what they are looking for, how you can help them and the best ways to prove your expertise to land your dream clients. Freelancing can either be terrifying or the best decision you ever made in your life… It’s up to you to decide what it’ll be! There is no shortage of freelance jobs, that’s for sure… But it’s up to you to position yourself as the best choice for the job at hand, and now you know how to.